In Week 4, the Warlocks only had a few days to work because the Polar Vortex hit the Eastern Coast causing us to miss 3 days of school. During the few days this week that we did have to work, the build team put together some transmissions and planned to continue working on putting together the robot. The Polar Vortex did set us back a few days; however, we will be staying late for the rest of the build season so we can catch up and get our robot done on time. On Saturday at the beginning of Week 4, the Warlocks began training the scouts for the competition season. 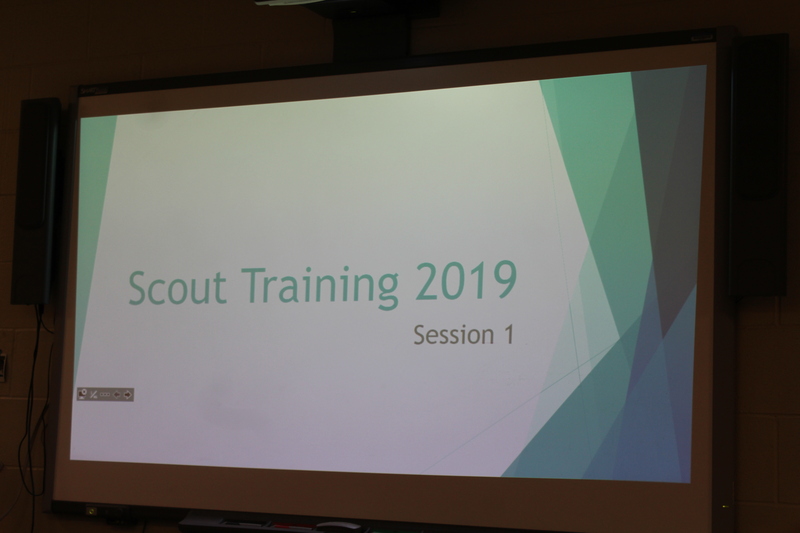 As always, the scouts watched a PowerPoint presentation and then took a test to demonstrate that they understood the PowerPoint and the purpose of scouting. In the coming weeks, the scouts will take another test that is geared toward more game-related information. Scouts will then use this information during the competition season to track all the robots on the field.